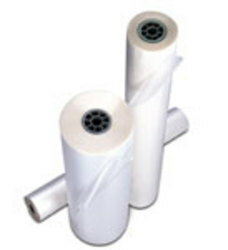 Economy P.V.C film, for Cold Pressure Sensitive Adhesive laminating. This film is a good value short term monomeric product. Available finishes are Gloss, Satin and Matt, and all have clear permanent acrylic adhesive. Each roll is on a 76mm core and can be cut to size.